NCR develops his first motorcycle called Millona on 2002. Millona represents how NCR concepts a racing bike. The aim is to build a new idea of bike, with high tech inside, experienced by NCR with Poggipolini Group's headquarter for F1, MotoGp, SBK and aerospace sector. The added value of Millona represent for NCR's customers best satisfaction to have bought a unique "tech racing jewel" that will transfer amazing riding experience. Millona is ultralight, because lightness is a milestone in racing competition to achieve performances, ease of handling, decreasing technical part's deterioration and of course increasing funny. 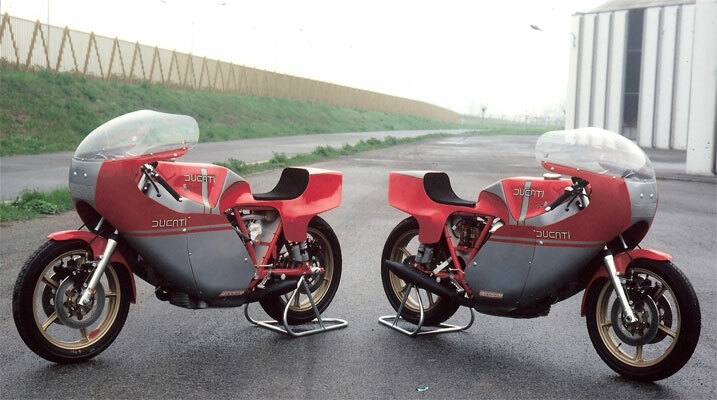 The strong partnership of NCR with Ducati is written in history and this is shown not only for the engine's choice but for frame's choice too. The result is amazing: NCR has realized the lightest high tech bicylindrical racing bike with high performances (Millona one shot 120 kg). To obtain these important success NCR has used best materials like titanium, magnesium, carbon fiber and aluminum alloys merging best technology processes like rapid prototyping and much more. Last but not least the great workteam (mechanics and engineers) that has allowed to transform a dream in to reality transfering experiences, technology and passion. Each model of Millona is hand made and realized on demand giving an high-customizable product to customer. Bikes are produced on operative work zone following a progressive process that allow NCR to give to his customers schedule information about work in progress. This "continuos upgrading" about work in progress give to NCR's customer the chance to stay tune about realization of his personal " 2 wheel jewel". The aim of NCR is matching advanced technology process with high hand made quality. Rapid Prototyping is the core of Millona's development. This amazing process is used by Poggipolini Group to realize prototypes in wind tunnel studies for F1 racing team and other high tech sectors too. Using a Cad/Cam file for a particular detail, through a special dusts laser sintering, is possible to produce on demand, in short time, any type of part with 100% quality. The result is astonishing: part can be worked by machines tool giving the chance to test for multiple uses like assembly, fixing and aerodynamic tests. R&D department of NCR has moreover developed an innovative carbon fiber rear subframe fixed on chrome-molybdenum steel frame. Millona is produced using ONLY the top sector's suppliers, carefully chosen by NCR. The excellence supplier's job is enhanced by Poggipolini through high precision machine tool working. The choice of NCR to use best materials guarantees a limited weight offering to all NCR customers maximum satisfaction buying a NCR product. Custom Tailoring is the core of Millona's production. NCR gives the chance to his customers to buy a bike that is a luxury product, unique and with high added value. The MILLONA has won in three racing years 20 races on 25, 2 championships (Supertwins and Ducati Desmo Challenge) and 4 riders-customers awards as best rookie rider, twice as best gentleman rider, best woman rider that means that even our gentleman riders achieves important results.